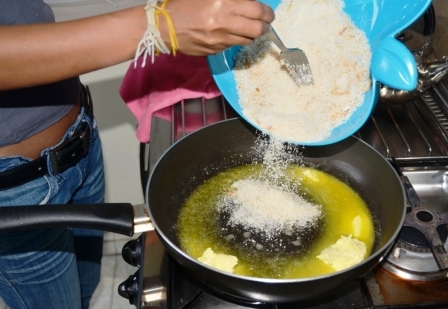 Mix flower, egg, oil, salt adding little amounts of warm water until it gets to a smooth dough. 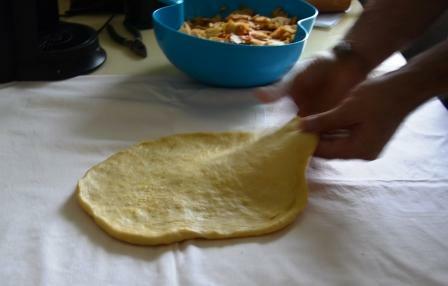 Oil the surface of the dough, cover it and let it rest for minimum 30 minutes. 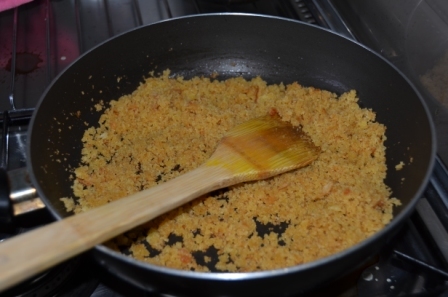 Keep a pan on the stove and roast the bread crumbs in butter. Slice the pealed and cleaned apples in the mean time. 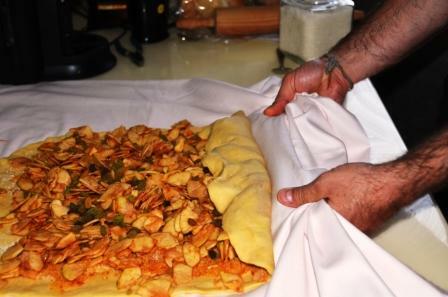 Spread the dough on a clean piece of cloth until the dough gets to a transparent sheet. 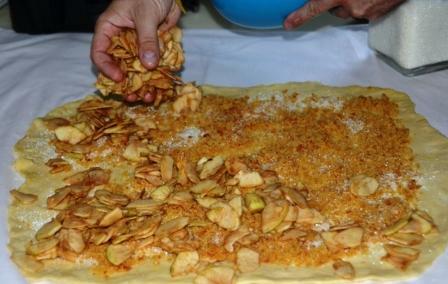 Add roasted bread crumbs, apple, raisins and sugar and close the sheet of dough as shown in the picture. 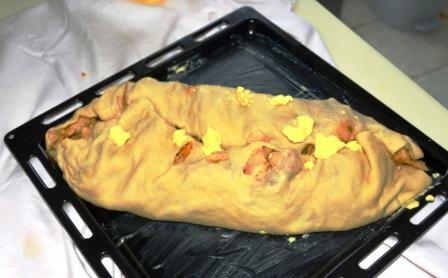 Bake the strudel in an oven heated at 230 degrees Celsius for 20 minutes. Now let’s eat……… Better with whipped cream or vanilla ice cream….